He is certified Google AdWords Partner and work independently as Internet Marketer. In the arena of the digital world, he holds expertise in content marketing, SEO, SMO & quality link building, email marketing, and affiliate marketing. He has been invited as a delegate to India Affiliate Summit 2018 held in Gurgaon, and BlogX meets at New Delhi in 2018 that was centralized on evolution and growth of bloggers and digital marketers in India. 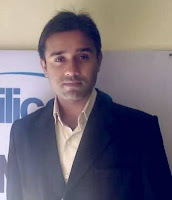 He is also recognized as one of an effective motivational blogger by IndiBlog Bloggers community. He is also an active member of many advanced and premium FB groups and SEO and Blogging community like Black Hat World & Warrior Forums etc. He specializes in affiliate marketing on the renowned online marketplace like Click Bank, JVZoo and etc. He thinks that if someone wants to be an expert in the field of online marketing, one has to get himself abreast with current trends in the market and learn while doing self R&D on regular basis. The secret to master IM is consistency and patience and positive attitude. He loves networking and socializing and learning new things while sharing knowledge with others. He believes in saying knowledge increases when shared with others and practices it in routine life. He loves to sleep, meditate, dream, act and achieve. He is fun-loving with a good sense of humor and boasts of having a love life. He received his MBA degree with the dual specialization in Marketing Management and Human Resources Management from IMS, Ghaziabad. He holds sound knowledge and work experience in both fields of management. As an HR he strongly believes that first of all HR has to be a very good person in general then only he/she can better understand and manage people in organizations. He specializes in campus recruitment, performance management, rewards recognition, soft skills training, personality development, attitude build-up, and leadership quality building-up course. One can contact him for soft skills, personality development and behavioral training for the individual and the corporate level. He also provides consultation on cracking job interviews, panel interviews, group discussions, extempore, confidence building and beating procrastination to get a better job and live a better life. As Spry Motivator he insists on relying on various self-improvement and self-development approaches that are focused on having a peaceful, contented and meaningful life. You can also contact him if you want help in exploring psycho-spiritual aspects of life for the betterment of humanity in total. Subscribe to get email notifications of new posts, guides and resources straight to your inbox. Why choose Digital Marketing as a career option today? The secret of digital marketing: Learn how to plan effectively to achieve your digital marketing goals from a spider!